Charming Southport bungalow with a wide welcoming front porch and endless possibilities. Walk or bike or golf cart to downtown Southport, it's less than a mile! Recently updated kitchen opens to dining room and living area with beautiful hardwoods. Master bedroom has large closet and separate bath. there's a huge storage/pantry area off kitchen. There is an unfinished area upstairs of 670 sq. ft. which could be finished into 2 bedrooms and a bath. 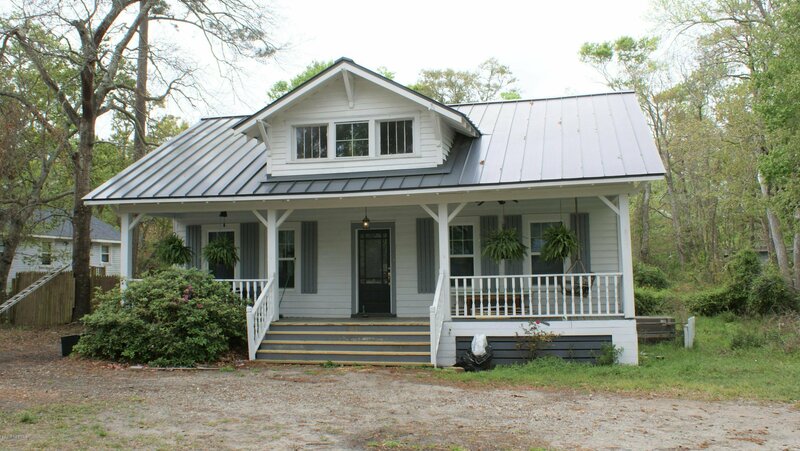 Additional features include a standing seam metal roof and an economical gas pack (natural gas) . The home is situated on large lot (.37AC). This home has so much character and history and possibility for you to make it your Southport dream home!